See my blog post about the 2019 design. 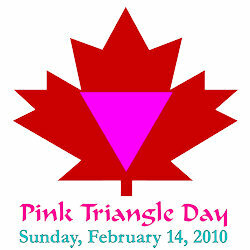 Celebrated in Canada since 1980; Pink Triangle Day is dedicated to honouring love in our lives. The love of friends, families (of birth or of choice), partners and spouses.date. 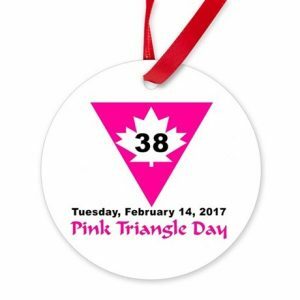 In July of 1979, at the annual meeting of the Canadian Lesbian & Gay Rights Coalition, the attendees passed a Resolution declaring February 14th to be an annual, unofficial, Canadian celebration of love.